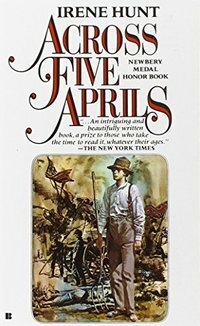 The Newbery Award-winning author of Up a Road Slowly presents the unforgettable story of Jethro Creighton--a brave boy who comes of age during the turbulent years of the Civil War. In 1861, America is on the cusp of war, and young Jethro Creighton is just nine-years-old. His brother, Tom, and his cousin, Eb, are both of fighting age. As Jethro's family is pulled into the conflict between the North and the South, loyalties are divided, dreams are threatened, and their bonds are put to the test in this heart-wrenching, coming of age story.